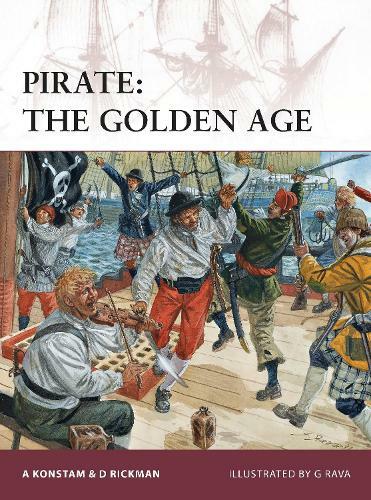 This book describes the life of a pirate in the early 18th century, the 'Golden Age of Piracy'. It charts the way these men (and a few women) were recruited, how they operated, what they looked like and what prospects their lives held. In the process the book strips away many of the myths associated with piracy to reveal the harsh realities of those who lived beyond the normal bounds of society. Written by pirate expert Angus Konstam, the book draws on decades of research into the subject, and pulls together information from a myriad of sources including official reports, contemporary newspaper reports, trial proceedings and court testimony last words on the scaffold, letters and diaries as well as archaeological evidence and relevant objects and artefacts from museum collections on both sides of the Atlantic. A must have for fans of the classic pirate stories or warfare in the early 18th century.